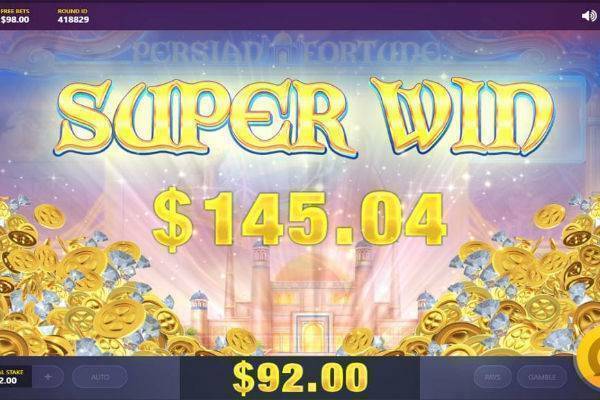 Persian Fortune Video Slot: Make Some Mullah! Set your bet size by choosing the total bet button. This ranges from £0.20 to £40. You can change this by pressing the plus or minus buttons. You always play with 20 paylines and your win is divided by that amount. If you’re feeling lazy, you can select autoplay for 10 to 100 spins and add a loss limit if you wish. Or choose turbo to make the spins go fast. But you may not want to choose this at first because the symbols don’t spin in the traditional manner. They fly in from the side. Not only that: when you win, the tiles cascade vertically, giving you a shot at win after win on a single spin. With each win, the chain reaction column of multiplier values from 1x (the initial value) up to a maximum 8x. These multiplier values increment when you win, multiplying the value of your prizes. They return to normal 1x after a loss. The Wild is a beautiful lady – a princess perhaps, or a belly dancer – worth up to 200x bet and substituting for any symbols other than the scatter. Bonus: The overflowing open Treasure Chest is the scatter. Landing 3 anywhere on the reels will trigger a pick ‘em second screen game where you can win mega prizes of up to 888x bet for finding a set amount of red jewels. Other coloured jewels are less valuable. The Palace and the Ring are also valuable symbols, paying 160x and 120x respectively for 5 on an active payline. Crossed Swords, Vase, and playing card symbols follow in value, ranging from 80x down to a mere 10x multiple of your bet. Persian Fortune’s fixed jackpot of 888x bet is worth aiming for. 5 of the Wild Lady will also bring in a cool 200x, although bear in mind that each multiplier needs to be divided by the 20 betlines. The calculated maximum multiplier for this game is 2000x. A Chain Reaction Bar – 6 arabesque symbols (1x, 2x, 3x, 5x, 6x, 8x) arranged in a column to the right of the reels – increases with each consecutive win, each prompting a respin. Any symbol may land in mega form: a 2 x 2 or even 3 x 3 supertile. In addition, mega symbols may become randomly surrounded by a “magical frame”. If a highlighted symbols becomes part of a payline, it transforms into a wild somewhere on the reels for the next spin. 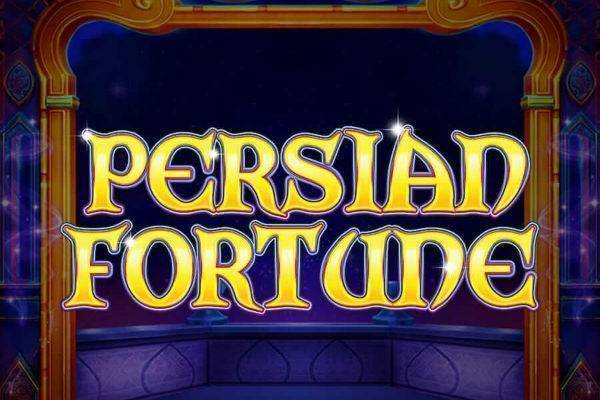 Persian Fortune is an attractive and professionally executed video slot. The colours are pleasing to the eye, and the illustrations well done. Exotic music may make you want to enter a souk or puff on a hookah. But once past the intro, the sounds become quite generic. No complaints, but nothing especially noteworthy. The symbols tumble, similar to Gonzo’s Quest, and are pleasing to the eye – if you catch it, that is. With a decent RTP of 96%, Persian Fortune gives you good reasons to keep playing. The spins are enjoyable to watch, especially when you get a chain reaction of respins up the multiplier column. The bonus game too can give an adrenaline rush: you have a decent chance of scoring an 888x multiplier. 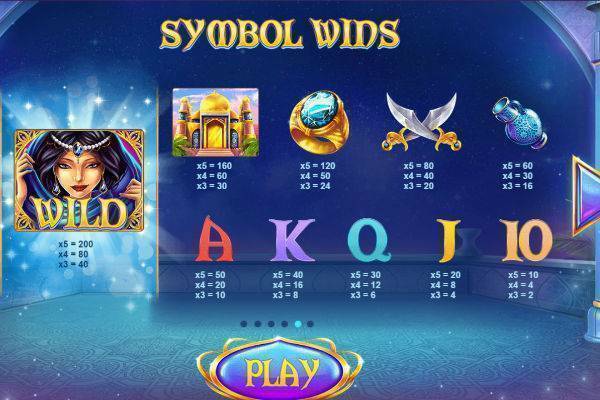 All this adds up to good reasons to take a magic carpet ride and give this slot a shot at a recommended casino.